S13. 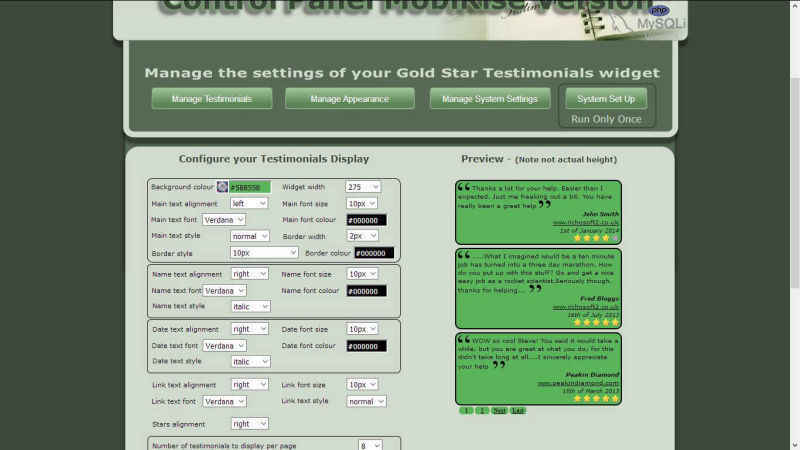 Mobirise Testimonials System for v4.5.x or Later. 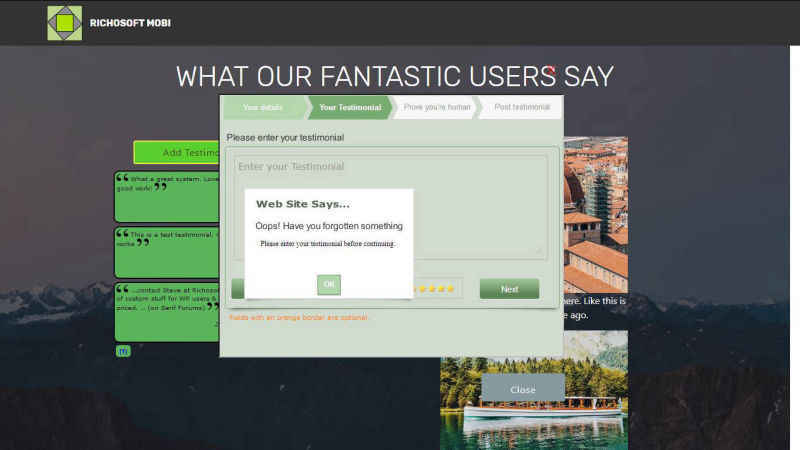 A simple Testimonials System for Mobirise* sites. 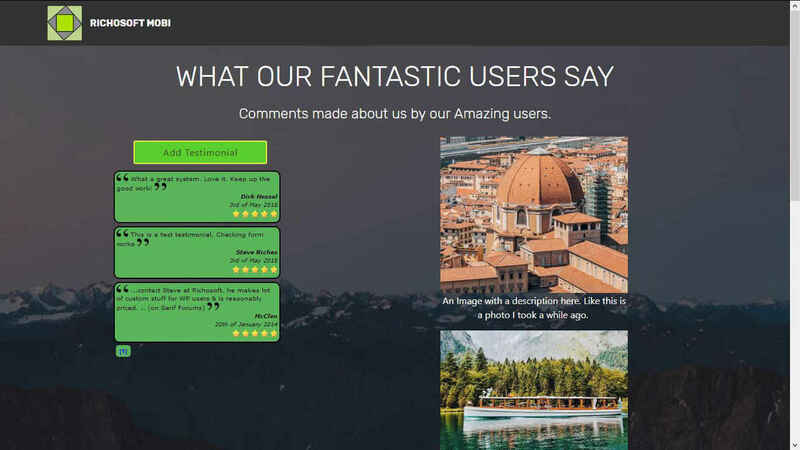 You can add Photos in the right site of the panel to enhance the page view via the Code Editor by following the easy to follow guide. Any number of testimonials can be added. 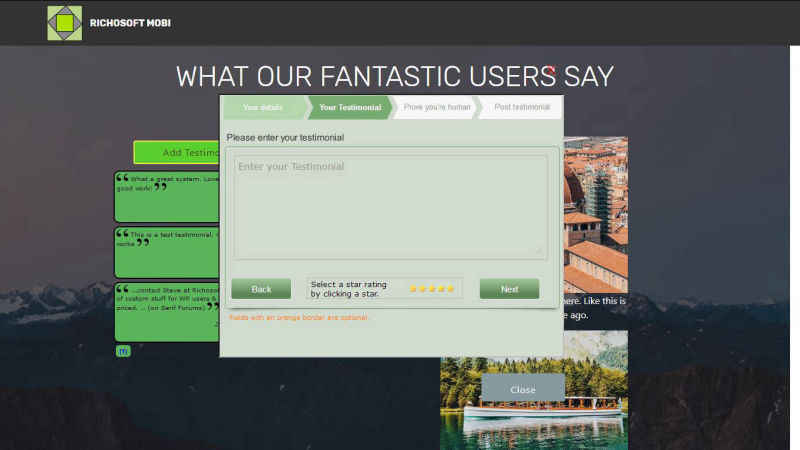 You can choose to have new testimonials automatically approved or require admin approval before they are displayed online. Admin can remove any inappropriate posts. Email sent to admin when a new testimonial has been posted. 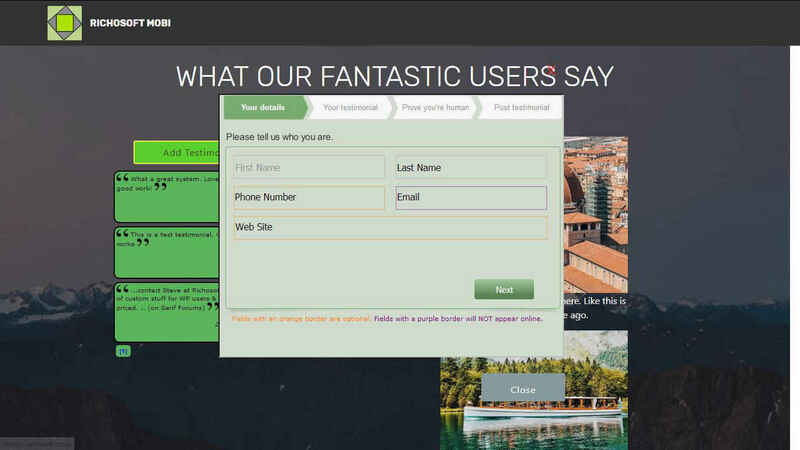 Simply publish the Control Panel files as per the guide, and add a blank databasevia cPanel. Run the setup and add the code to ypur page.